With more than 50 million businesses on Facebook, the social network has become one of the staple channels to further market your brand. Even though so many brands have a strong presence on Facebook, several more are trying to get started off on the right foot. To be successful on the social network, it all starts with your Facebook Business page. Whether you’re looking or just created a Facebook Business page, there are important steps to follow before to ensure you have an active and engaged audience. What Defines a Facebook Business Page? A Facebook Business page is one-stop destination for customers who search for you on the social network. Whether you’re a local or enterprise business, your Facebook Business page should work similarly in vein to your company’s website. Here you can provide contact information, store hours, calls-to-action linking to landing pages, visual content, events, updates and much more. While you likely understand why a Facebook Business page is important, it’s also critical to know how to build one from scratch. 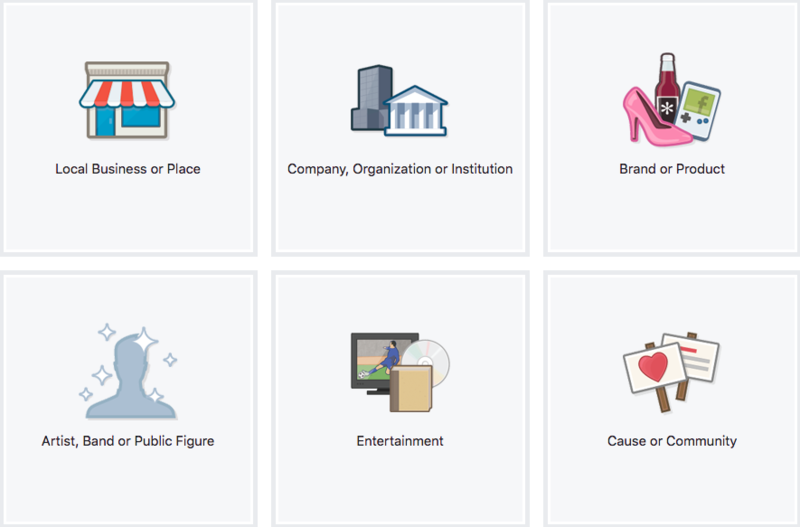 Building a Facebook Business page begins with detailing what type of company you’re presenting. If you’ve already created a Facebook Business page, feel free to skip down down to the next section. Jump to How to Further Build Your Facebook Page. For the rest of us just getting started, you need to select the type of business page you’ll be creating on the Create a Page site. Simply select which category speaks best to your type of brand. 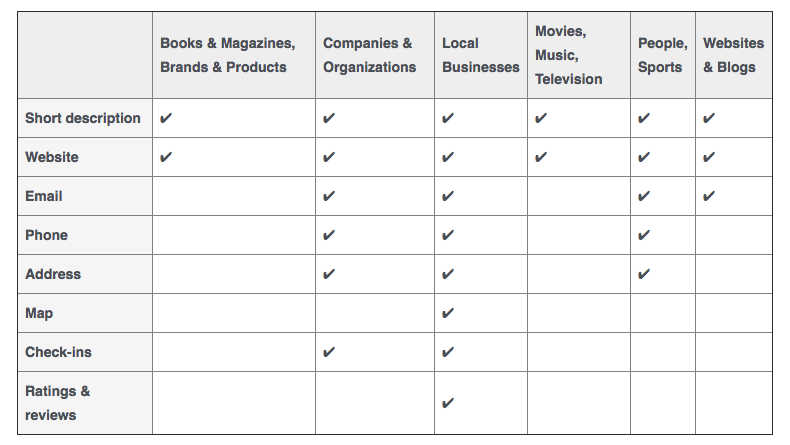 Each category has a laundry list of unique subcategories to further detail your brand. It’s important to know some categories have specific features. 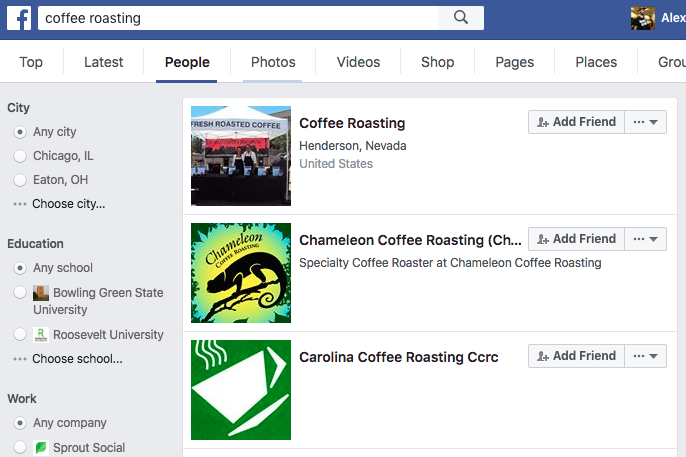 For example, if you want to collect Facebook reviews from customers, choose the Local Business or Place category. On the other hand, if you want check-ins but no reviews, select the Company, Organization or Institution category. 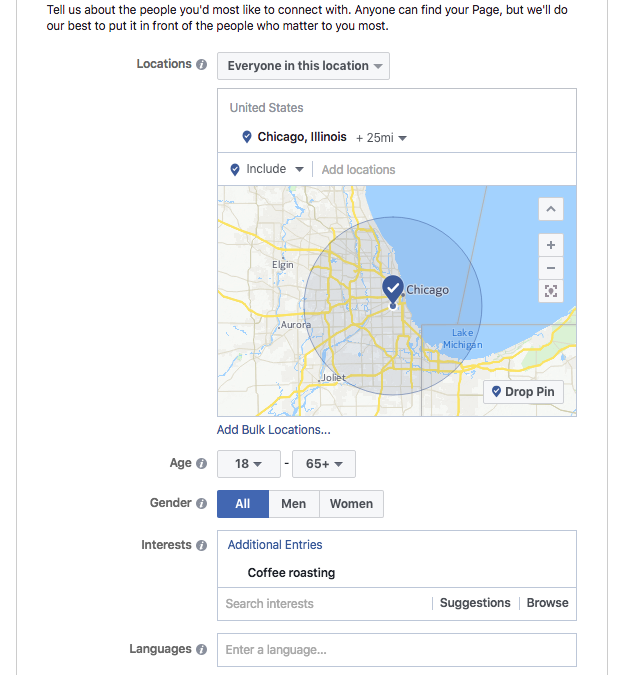 Once you choose your subcategory, enter your business or brand’s name and click “Get Started.” Facebook will then ask you to set up your Page’s additional details. Enter a description of your business, your website, custom URL and a profile photo. Pro Tip: Keep your custom URL short and representative of your brand. Avoid numbers, special characters and other things that would make your business hard to search for on Facebook. 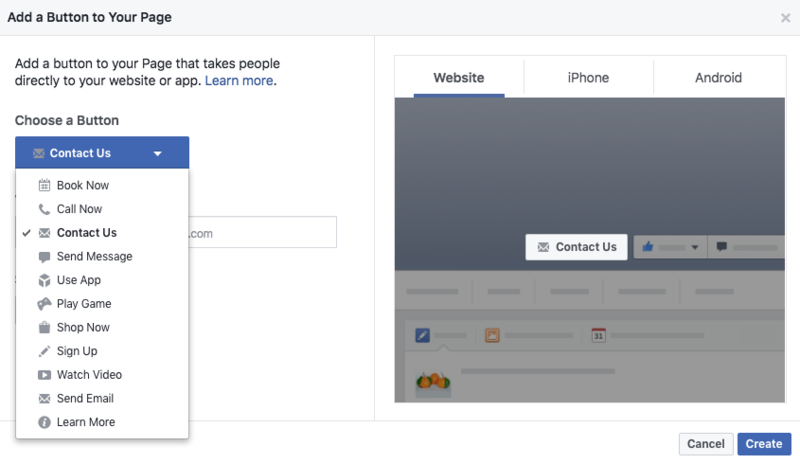 You will also have the opportunity to add your Facebook Page to your list of favorites (shown in the left sidebar menu when viewing your Facebook News Feed) and choose your preferred Facebook Page audience. From this point, you can start to add more information about your business. One of the worst things you can do as a business is stop and leave an unfinished Facebook Business Page. While you think it might not hurt to leave up an unattended or half-filled Page, it actually does damage to your credibility. Adding an image to your Facebook Business page is easy. Simply follow the same steps you would with your personal account. However, make sure you know the right specs and image size guidelines for your profile and cover photos. To ensure you have the right dimensions, use our free social media image resizing tool, Landscape. With this tool, you can easily resize your images to fit perfectly on each social network. Don’t post blurry or pixelated profile and cover photos. Use Landscape for free today. Here you also enter your direct link and choose if you want to send users to your app. You have the option to set up iOS and Android directions to send visitors to your app or website (depending on which device they’re using). Pro Tip: Always set up your Facebook Business Page to be mobile friendly. Ensure everyone can easily send an email or contact you through their smartphone or tablet. 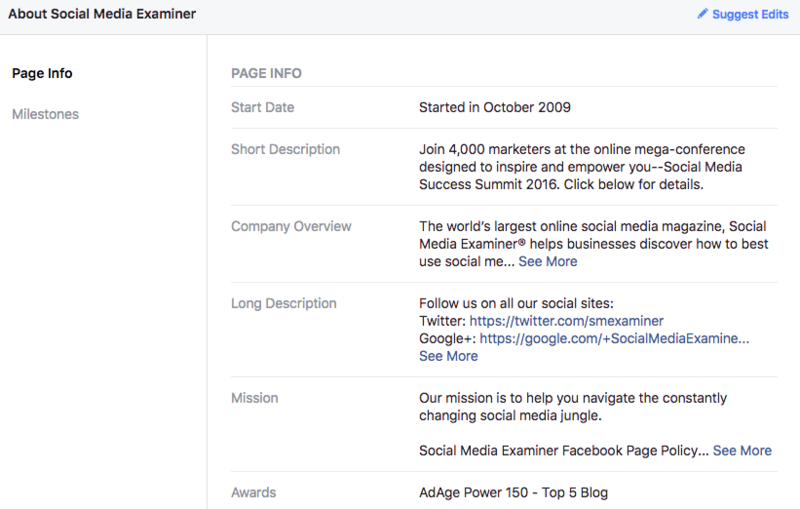 One of the most important sections of your Facebook Business Page is the About section. Update this area and make sure to add your website (if you didn’t in the original creation), a description, your hours of operation (if necessary), address, a phone number and email. This is the minimum you should do with your about section, but make sure everyone can find the majority of information about your business in this section since it will be one of the most visited areas. Social Media Examiner does a great job at fully explaining their business model, upbringing and accomplishments in the About section. Check out your competitors to see how they’re putting this information together if you’re still struggling. Just remember not to copy their exact style and wording. Being original on social has its benefits. Next you’ll want to edit your Page settings. Make sure your Page Visibility is set to Page Published before you promote it. Here you can also select whether or not users can send you private messages through Facebook Messages. For most businesses, it’s smart to enable this connection as some users might be prevented from making public complaints on your Facebook Page. Always keep open lines of communication wherever possible on your channels to seem more humanistic. If there are other Facebook Pages you would like linked to your new Facebook Page, go to the Featured section to add them. This is also where you can link to your personal profile as a featured Page owner if you wish to do so. As users begin to visit your Facebook Business Page, you want to have a good introduction. 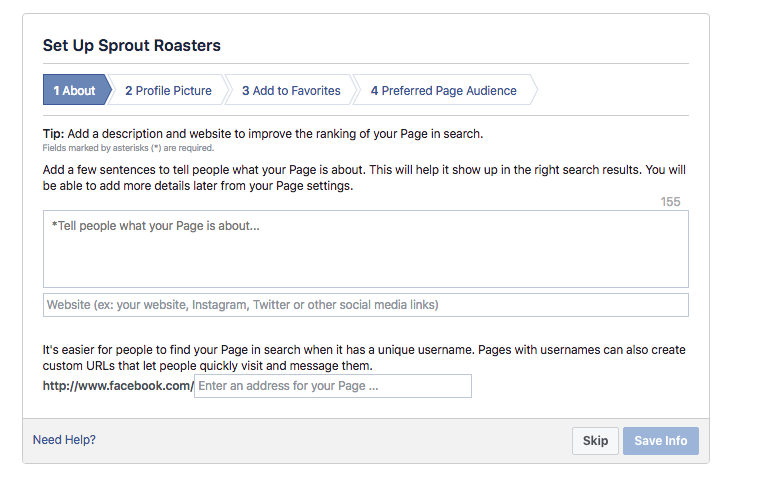 Start planning your initial posts and get users to Like your Page for more content. Once you have your introductory posts out, it’s time to start a schedule. It’s smart to post on Facebook at least once or twice a day to keep your Page active. 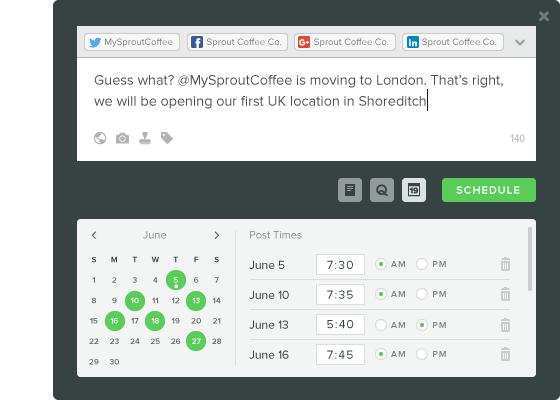 You can easily schedule your content with Sprout Social’s publishing tools. Here, you can schedule multiple Facebook posts for the week so you can get your content planning finished in a more timely fashion. Always remember to keep your Facebook Business Page active. The last thing you want is to seem like you’ve abandoned ship. People want to contact your brand on social media, so make sure your Facebook is up to date and continually publishing new content. Now that you know the initial steps to set up your Facebook Business Page, you need to know how to effectively promote it. Your Facebook Page can be a major source for new customers to find out about your company for the first time or to learn more. Learning how to market your Facebook Business Page will make you more present in the eyes of your audience. However, you have to know the basics to building an audience and keeping them around. Growing your Facebook audience is no easy task. While it only takes a second to Like a Page, getting people to trust your brand is a whole other story. That’s why you need to have a goal in place to build your audience. One of the best ways to get people to follow or Like your page is by being a trusted resource for content. According to the 2016 Sprout Social Q3 Index, 86% of users want to and actually do follow brands on social media. On the other hand, the same report found 57% of users get annoyed when a brand is too promotional on social media. This means you have to find a balance with your audience. To get started, post three to five pieces of content on Facebook before you start adding people. You don’t want new users coming to a barely filled-out space where it will be easy to leave. Instead, with a healthy start of content, you’ll show people you’re already getting started with content. But How Do You Grow Your Audience? When you have a Facebook Business Page with plenty of content, images and other media, start by inviting the people you know. 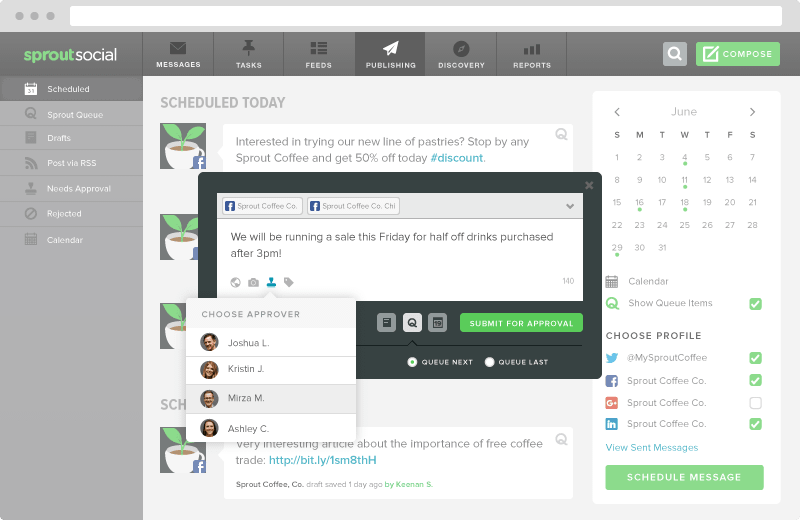 Invite co-workers, old colleagues and even your own Facebook friends to start following you. Next you’ll want to follow the thought-leaders in your field. Simply search topics in your industry and select “People” to see who are thought-leaders and experts. Don’t hesitate with who you’re asking to Like your Page. Send Facebook invites to every thought leader in your field. You’re more than likely to get a good amount to follow you back. Once you begin to add industry leaders, others will start to follow who they follow. This is how you begin your audience building. Try to set goals with how many new followers you want to get in your first week, first month and first quarter. Set goals and make sure you stick to them. If you continue to publish great content, your audience will only grow. 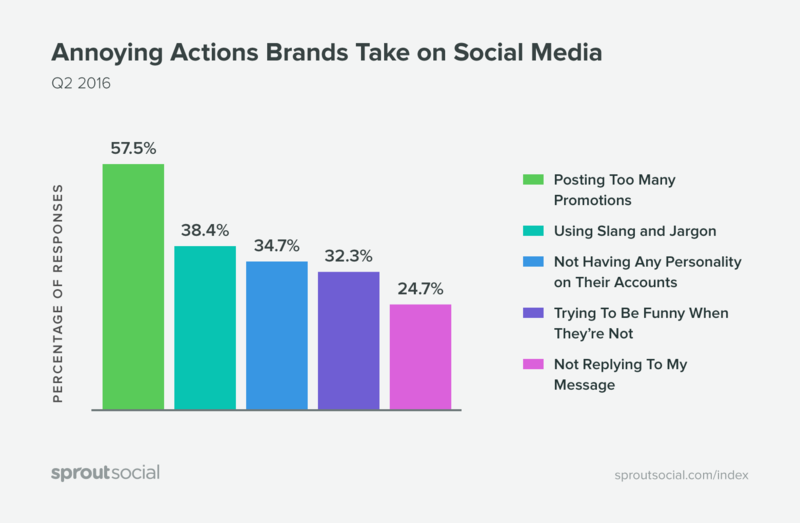 Did you know that roughly 89% of social messages to brands go ignored? To add to it, one in three people said they’ll go to a competitor if they don’t receive a response from your brand on social. That might be a tough pill to swallow for some brands, but the need for engagement is real. You have to be present on social media and be willing to engage. This doesn’t mean you have to answer to every single question posted to your timeline. But there is a need to sift through responses and know when it’s important to engage with your audience. Luckily, Sprout Social has in-depth social media engagement tools to track, monitor and help you engage with your audience. Don’t let important messages slip by you and run the risk of losing business. Actively engage with your audience even if they’re not reaching out to you. When you start your Facebook Business Page, it might be quiet for a few weeks. However, you can do more to find people talking about your brand or your industry. Get involved with discussions and be active in your industry. Customers will see and respect that effort from your brand. Like we mentioned before, you have to plan out your initial Facebook posts to get people to engage with your business Page. An empty social media profile is sad and will immediately push new users away from your Facebook Page. Facebook Contests: Contests are a great way to help build your audience from the ground up and to get your brand name out there. However, avoid giving away products or services that have nothing to do with your industry. Otherwise, you’ll have a lot of immediate engagement, but nothing that lasts. Video Updates: With a Facebook feature video, you give customers coming to your site a highly-engaging visual piece of content to discover. Even if you don’t have a robust video team within your company, you can follow some simple steps to get social media video content to your audience. User-Generated Content: UGC is perfect for businesses just starting off on Facebook. Ask for users to provide content they think would fit perfectly on your Page. You not only get their audience to your Page, but you also build trust and influencer relationships with others. Facebook Posts with Photos: A study from eMarketer discovered Facebook posts with an accompanying image drive 75% more engagement than standard text-only posts. Facebook feeds are cluttered with visuals, so make sure your posts stand out among the rest. After you fully set up your Facebook Business Page and create engaging content, you might wonder how your efforts have paid off. 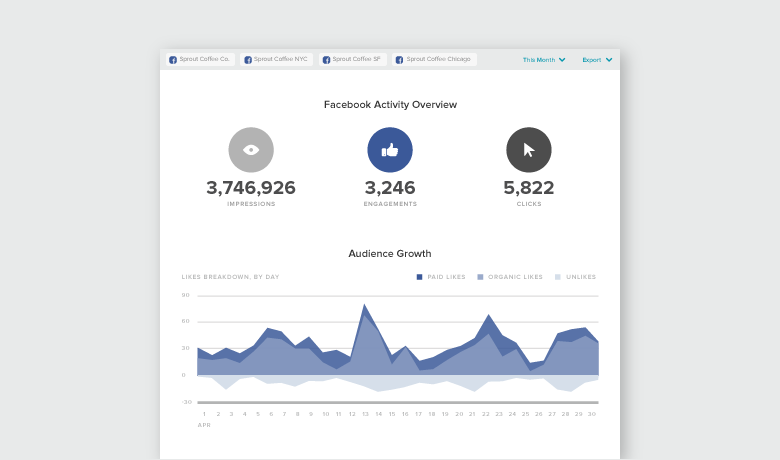 By using Facebook analytics tools, you can measure the effectiveness of your content, engagement and how many follower you’ve gained overtime. 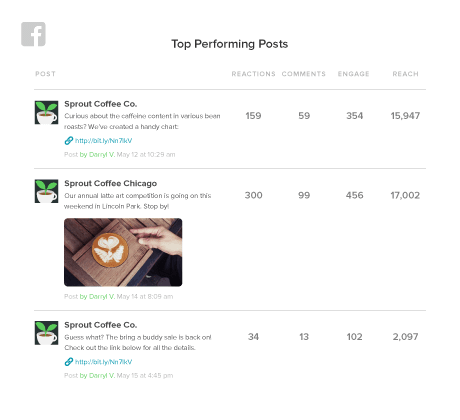 While this is just a sample of the metrics you can measure with Sprout, having this data allows you to reconfigure and structure your Facebook marketing strategy. It all starts with a successful Facebook Business Page and having the analytics to back up your decision-making can help you improve your efforts. Now that you have some insights into how to make a Page, what content you need and how to measure your efforts, you have to get started! 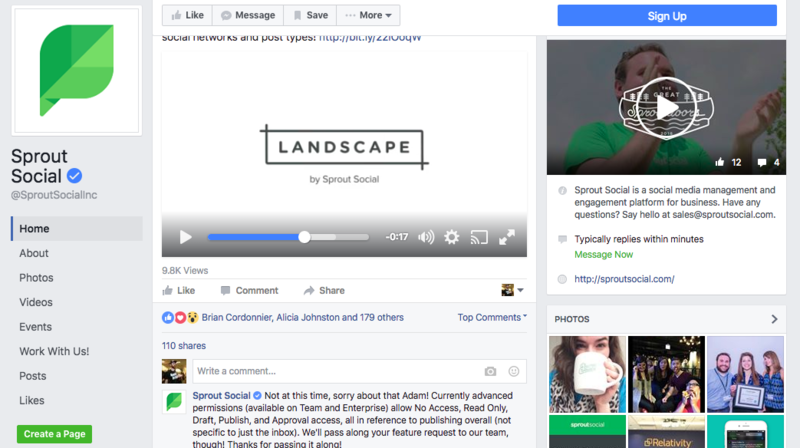 Facebook Business Pages take a bit of effort, but having robust third-party tools like Sprout can help simplify your efforts. Let us know in the comments below what you think goes into a great business Page!